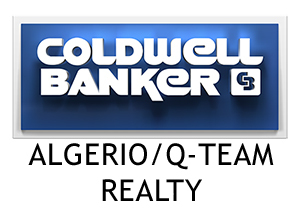 With over 30 agents and staff members and two conveniently located offices, Coldwell Banker Algerio/Q-Team Realty is Northeastern Nevada’s largest and premier real estate brokerage assisting over 450 families with their real estate needs each year. We are a full-service brokerage offering real estate services in residential re-sale homes, new home construction, vacant land sales, commercial and industrial sales/leasing, and ranch property sales. Our agents can assist you with your real estate needs from Wendover and Jackpot to Elko, Carlin, Wells, Spring Creek, Lamoille and all points in between. Our family of REALTORS® has been consistently honored with some of the highest achievement awards that Coldwell Banker has to offer and Coldwell Banker Algerio/Q-Team Realty is annually ranked as one of the top 10 Coldwell Banker offices nationally for its size, in sales and service. Our mission statement is to provide our clients with an outstanding real estate experience. We would be honored to assist you and your family with your real estate needs as we welcome you to our area!